The hotel has a 24/7 open reception. For visiting the Daniel Castle and for guided tours, please make an appointment by contacting the castle at the given contact details. Like the other noble buildings in the region of Baraolt, this castle was also constructed in the late-Renaissance style, and was later extended with a classicist wing during the 19th century. Several valuable late-Renaissance stone carvings can be found embedded into the walls of the building. The cellar from the north-western wing of the castle and the rooms above it have the oldest aspect, we can thus identify this as the first “lodge” built by Mihály Daniel. A crest sculpted in stone with the initials of Mihály Daniel, placed on the forefront of the building, commemorates the 1669 constructions. After its nationalization, the castle hosted several offices, then it was used as a granary and a chemical warehouse, and its condition continuously deteriorated. After the regime change, the monument building was regained by the descendants of the Daniel family, then they sold the estate to its current owners. Since 2016, the castle hosts a luxury hotel. Tălișoara is located at 50 km from Sfântu Gheorghe, 60 km from Brașov and 4 km from the city of Baraolt. The easiest way to approach the village is by car: from Baraolt, you need to continue 3 km on the road nr. 131 towards Odorheiu Secuiesc. The Daniel Castle is located near the center of the village. If you are travelling from Bucharest/Brașov, you should continue on the E60 national road towards Sighișoara, and after 25 km you need to turn right at Maieruș village, then continue towards Arini and Baraolt. The nearest airport to Tălișoara is the Henri Coandă International Airport in Bucharest (Otopeni), from where you can easily get to Brașov by car, train or bus alike. The closest train station to Tălișoara is at Augustin, at about 10 km from the castle, therefore we would rather recommend you to rent a car in Brașov city or take a local bus from here. At the moment, there are eight rooms with own bathrooms, reception, dining room, café, bar and restaurant available to guests. Standard check-in time is before 15:00 and check-out time is until 11:00. Additional services provided by the hotel are the following: special dinners (five-course dinners combined with wine tasting, Renaissance-theme dinner with live music, dinner in cauldron prepared on open-fire), library, bike rental, picnic baskets, massage, herbal baths etc. Additionally, the castle offers on demand: guided tours in three languages, hiking tours, horseback riding tours, off-road tours, bike-tours etc. to the beautiful natural and cultural attractions of the region. There are a lot of tourist attractions in the region, a special exhibition of mastodon skeletons can be visited at the Museum of Baraolt. Furthermore, the Orbán Balázs Cave in the Vârghiș Gorge is very impressive and several mineral water springs can be found in the region too. 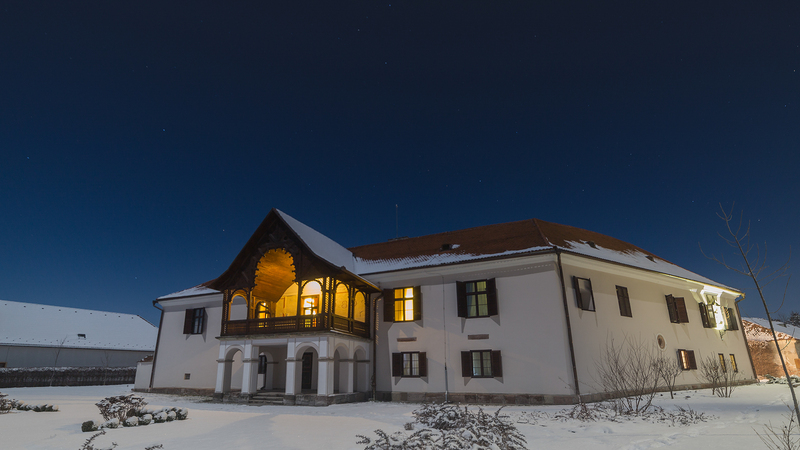 Furthermore, there are a lot of beautiful monuments in the region: we recommend you to visit the Kálnoky Castle and the Kálnoky Guest Houses in Micloșoara, the Daniel Castle in Vârghiș, the Boda Manor House in Filia and the Guest Houses of Prince Charles in Valea Zălanului are all at a maximum 20 km distance from Tălișoara. Moreover, traditional arts and craft workshops and mineral water springs can be visited all around.